There are two things in this world that you love. The first is your guns. The second is your wife. So how do you enjoy both at the same time? You get your wife to the range. Each time you go to the range, you let her know and you ask if she’d want to join you. Up to this point, she’s never said yes. But, now, she’s decided that she wants to go with you. How do you get her to enjoy the experience? At Bootleg, we provide high-quality products and information so that you can make the best decision possible for your AR-15 accessory experience. 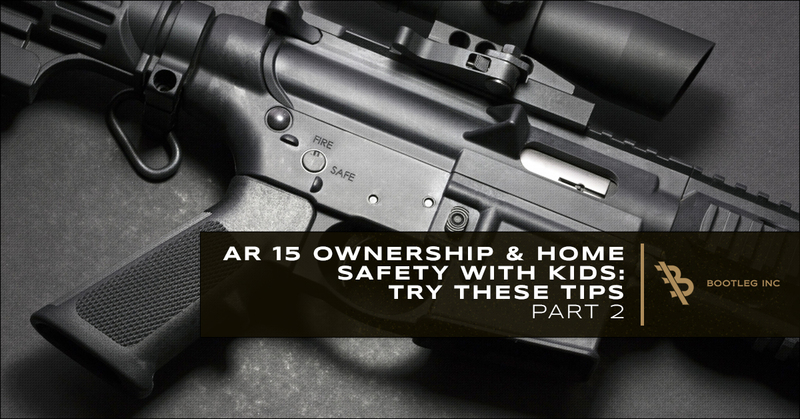 What’s more, we encourage safe, engaged rifle owners. As a part of our mission as a company, we want you and your wife to enjoy the shooting range with the rifle of your choice. Your first mistake is to take your wife to a range that is less than family friendly. New shooters, no matter their gender, can feel intimidated by the experience. A shooting range that caters to you and your needs as a rifle owner may not be the right fit for her. You want to take her to a range that doesn’t have a bunch of high-speed, low-drag shooters. The last thing you want her is to feel embarrassed or heightened levels of uneasiness. Taking her to a “tactical” range may scare her away from shooting altogether. Most husbands take their wives to the range and do everything for them. This is a bad way to start the experience. You want your wife to own the experience from start to finish. She ought to ask her questions to you or the range attendant, choose her own firearm, and really immerse herself. If she wants to use your gun, let her. Encourage her to do things on her own. You’re at the range for her, not yourself. She wants to learn more about your experience with guns, so let her. You can offer guidance, but don’t make the decision for her. If your wife has never been around a shooting range, she’s already going to feel a little uncomfortable. You don’t want to compound this discomfort with uncomfortable weather like cold or humidity. Also, you want to choose a day where nothing else is on her mind from the other parts of your lives. For example, make sure the kids are at school or with a babysitter. Do not bring the kids along, if you can help it. You and your wife want to be focused on her experience, not constantly managing the kids and their needs. Do you remember the first time you handled a firearm? — of course you don’t, you’ve never been bad at shooting. Remind yourself that you need to remain patient. Your wife is essentially your student now, and you want to encourage her to go to the range again sometime. Teach her the basics in a calm, positive tone as you would teach anyone else. She may struggle or get upset at how she’s performing or feeling. Be there for her. It helps to take breaks from shooting. Maybe leave the range and come back in an hour. The goal is to help her enjoy the experience. What’s just as jarring as a firearm discharging? Someone yelling “no!” at you before you do something you’ve never done before. Imagine the first time you had to sternly tell your child not to do something. You probably scared them a bit. Your wife is learning something new, and you need to remain calm, even if she does mess up. Being loud or sudden with your commands may make her commit a worse violation than the one you were attempting to stop. Words like “hold on” or “let’s take a break.” Another effective way is to create a safeword that means stop everything and don’t move. As you teach your wife how to shoot, she will make mistakes. She will have questions. She will need your help until she’s competent with the firearm. With all this being said, this teacher-student relationship doesn’t mean you can just grab the firearm out of her hands. When she has the gun, she has the gun — period. Communicate with your wife on what to do, how to do it, and what she needs to adjust. Show her by letting her do it. At Bootleg, we want you and your wife to have a great time. 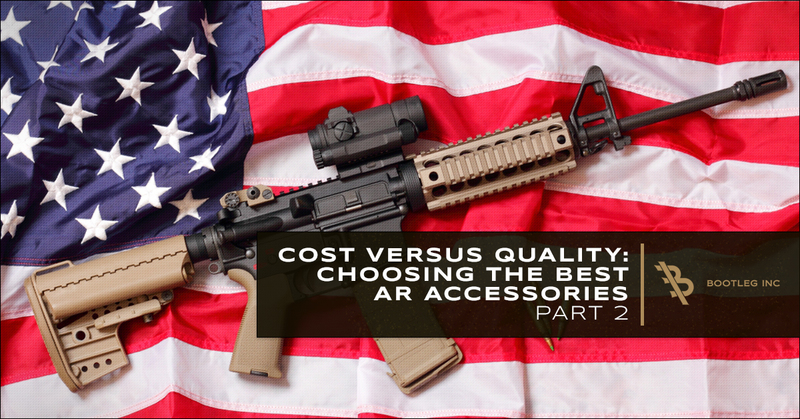 You can find the best AR accessories. Don’t forget to take pictures. Shop now!